Kevin Mellon is a Kansas City-based comics artist. His work includes Gearhead (Arcana Studio), Lovestruck (Image Comics), S.H.I.E.L.D. (Marvel), and Heart (Image Comics). 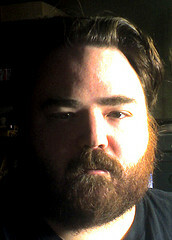 Mellon attended Blue Springs South High School and is a graduate of the Joe Kubert School of Cartoon and Graphic Arts. He broke into the comics industry in 2007 with the publication of Gearhead, which was written by Kansas City’s Dennis Hopeless. Mellon and Hopeless also collaborated on Lovestruck. In 2011, Mellon teamed with television personality Blair Butler for Heart, a four-issue limited set in the world of mixed martial arts.